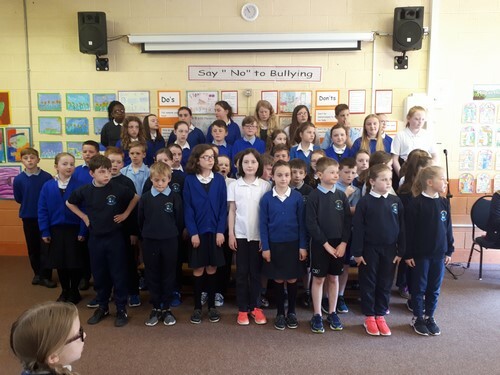 On Wed 23 May our school choir took part in a concert, organised by Mayo International Choral Festival, to honour George Lee as one of Mayo’s heroes of Music and Song. Over the years George has provided an accompaniment for our choir on numerous occasions, so we were delighted to be part of this event. 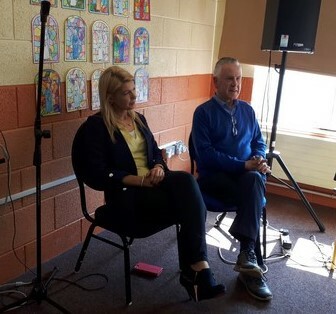 The concert featured a wide variety of performers, including Mayo Concert Orchestra, Mayo Male Voice Choir, Baritone Ronan Egan, Cill Aodáin Choral Society, Kiltimagh Parish Choir and Mayo School of Music Youth Choir. 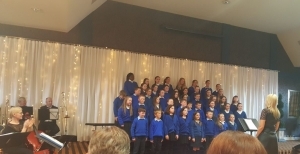 The choir under the direction of Ms Lee performed two songs – Edelweiss and Why We Sing- featuring soloist Louise from 4th Class. The Chairperson of Mayo International Choral Festival, Mr Frank Murray, made particular reference to our choir on the night and commented on their sweet tone. The following day, in the school hall, all classes had an opportunity to hear the choir perform their pieces again. 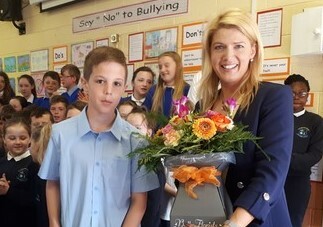 Well Done to all involved and Thank you to Ms Lee for all your work in preparing the choir for this event.